This page documents data for Conrad (1836), such as genera and species attributed to that publication (including known misspellings, misidentifications, and other unavailable names) as well as taxonomic opinions, if available. Taxonomic opinions refer to uses of genera and species as valid and invalid in that work. Conrad, T.A. 1836. Monography of the Family Unionidae, or naiades of Lamarck, (fresh water bivalve shells) or North America, illustrated by figures drawn on stone from nature 1(3): 25-32, pls. 11-15. Click here for online access. Say, 1834, Amer. Conch. 6: ??. Conrad, 1836, Monogr. Fam. Unionidae 1(3): 26, pl. 11, fig. 2. Conrad, 1834, New Fresh-Water Shells: 37, pl. 6, fig. 1. Conrad, 1836, Monogr. Fam. Unionidae 1(3): 25, pl. 11, fig. 1. Conrad, 1853, Proc. Acad. Nat. Sci. 6: 254. Conrad, 1834, New Fresh-Water Shells: 34, pl. 5, fig. 2. Conrad, 1836, Monogr. Fam. Unionidae 1(3): 28, pl. 12, fig. 2. Conrad, 1853, Proc. Acad. Nat. Sci. 6: 252. ‘Lea’ Conrad, 1836, Monogr. Fam. Unionidae 1(3): 27, pl. 12, fig. 1 [as ‘congaræus’]. Conrad, 1836, Monogr. Fam. Unionidae 1(3): 33, pl. 55. Conrad, 1836, Monogr. Fam. Unionidae 1(3): 31, pl. 14, fig. 1. Conrad, 1853, Proc. Acad. Nat. Sci. 6: 255. 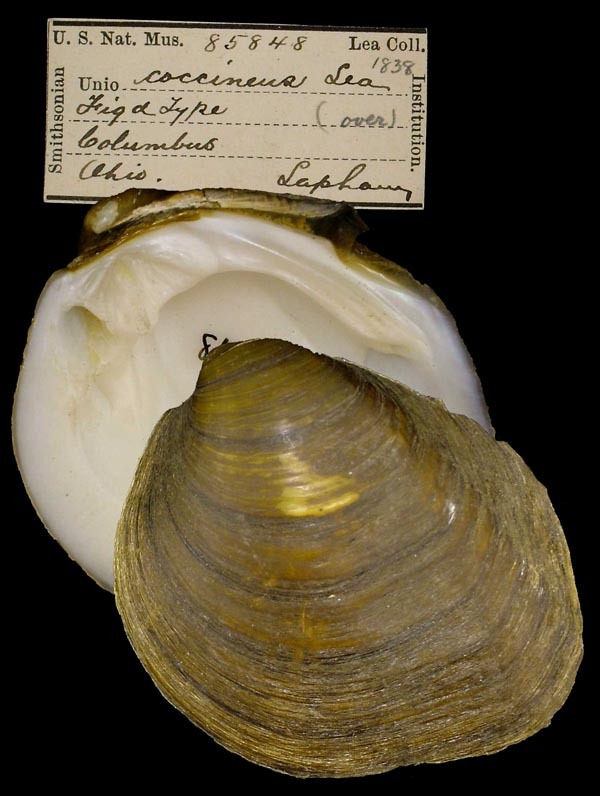 Type(s): HOLOTYPE ANSP_41397, [no locality available - North America]. ‘Hildreth’ Conrad, 1836, Monogr. Fam. Unionidae 1(3): 29, pl. 13, fig. 1. ‘Hildreth’ Conrad, 1853, Proc. Acad. Nat. Sci. 6: 247. 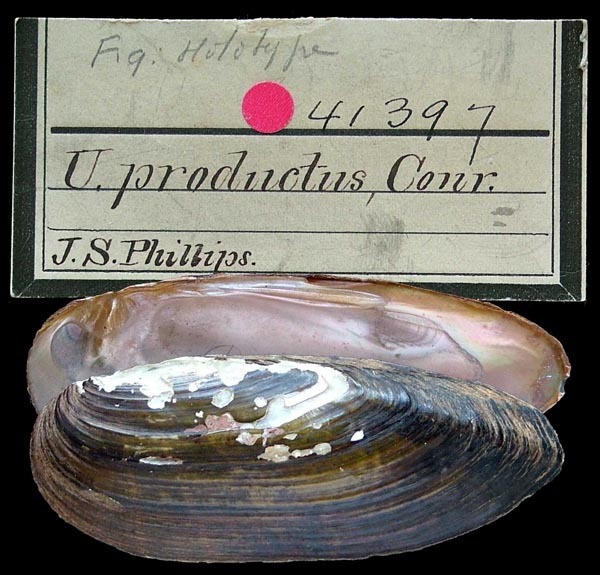 Type(s): FIGURED SYNTYPE USNM_85848, Columbus, Ohio. Conrad, 1836, Monogr. Fam. Unionidae 1(3): 30, pl. 13, fig. 2. Conrad, 1853, Proc. Acad. Nat. Sci. 6: 246.